The vast majority of businesses need an influx of capital to really get off the ground. One financing option that has been popular for many years is a small business loan. Thanks to traditional banks and online lenders becoming more willing to supply funding, the process for obtaining these loans has become easier. 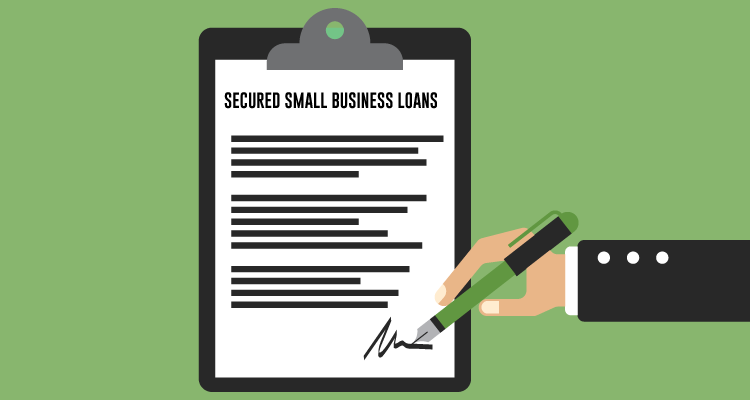 While it’s gotten easier, applying for a small business loan is still no easy task. It requires the borrower to be very diligent in doing their homework well before submitting the application. Fortunately, the most common mistakes are easily avoidable. If you’re thinking of applying for a small business loan make sure you avoid these four common mistakes. The majority of lenders will typically only read your executive summary however. This section needs to briefly summarize the full business plan within a single page of text. Without these sections and a poor executive summary your business plan is incomplete. An incomplete business plan will cause the lender to lose confidence in the business and you as the owner. Before you even consider a small business loan you need to check your credit score to make sure everything is in order. You also need to double check that everything on your credit report is up to date. The better your credit score is the more favorable of an interest rate you’ll get from the lender. If you have a credit score of 7o0 or above you should have little issue borrowing cash and will likely receive a decent interest rate. Credit scores under 650 will have a bit more trouble and if you’re below 600 you’ll be facing some pretty high interest rates. If you’re burdened with a low credit score it may be a good idea to seek alternative financing options. High interest rates can seriously hurt your cash flow. Even worse, if you’re unable to make payments you can expect your score to suffer even more. The golden rule in startups is that you’ll always need more cash than you think. There are plenty of unexpected costs associated with running a business that you need to be prepared at all times. The best way to cover your behind is to raise enough capital. When borrowing you should shoot for at least six to nine months of operating costs. If you’re constantly needing to come back to the lender for more cash it shows that you’re unable to properly forecast your expenses. Take the time to build a proper budget and raise ample funds to cover that. When searching for a small business loan it’s extremely important to shop around for multiple options before deciding. As I mentioned above, small business loans today are becoming easier to acquire due to the increased number of lenders. If you aren’t too keen on borrowing from traditional institutions like banks there are plenty of newer options to choose from. Nerdwallet does a great job compiling various options for entrepreneurs. As a business owner it’s imperative that you choose the right financing option for your business. If you think that option is a small business loan then make sure you don’t make the four mistakes listed above!